If you want to lose weight, setting goals is going to help you immensely. Goals can keep you on track and they can motivate you when the going gets tough. 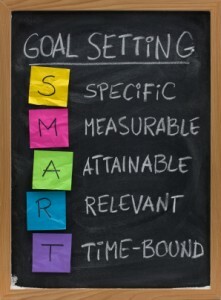 Mini-goals can be especially helpful if you set them and reward yourself wisely each time a milestone is attained. You need to seriously look at your motivation and commitment towards your goals. That way, you can stay focused even through the difficult times. A problem comes in when goal-setting isn’t realistic. Yes, it’s true. There is a right way to set goals and a wrong one. This is especially true if weight loss is the motivation for goal setting in the first place. All too often, people forget that it took more than a few days to gain their weight in the first place. It simply can take time to shed your weight. 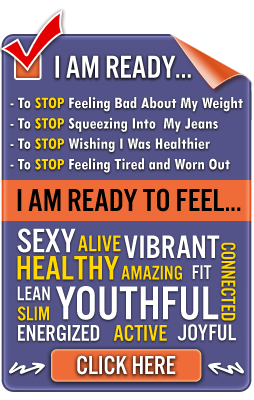 This is absolutely true if losing weight and maintaining health are both desired. Goals and actions that are unrealistic can foster weight loss, but unfortunately at the price of health. Plus, unrealistic goals can sometimes cause a loss of weight that’s only temporary. In fact, many people who precede with unrealistic weight loss goals often gain back their weight rather quickly and add a few pounds to boot. Eating wrong – A lot of people opt for diets that simply will not work for the long haul. Starve yourself and you might lose some weight on the front end, but you’ll harm your body nutritionally. The idea is to build your metabolism, not destroy it. 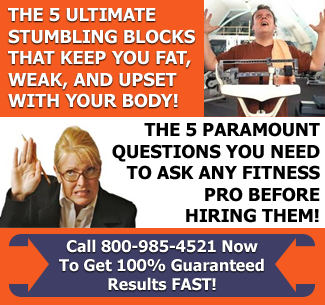 Plus, you will very likely see every pound lost regained rather rapidly. When goals are unrealistic and the tools used to attain them are wrong, the body will suffer. There are better ways to go about enjoying healthy, long-lasting weight loss. An attainable exercise plan – It’s a lot more effective to shoot for a good workout every other day. Stick to a plan that calls for 30 to 60 minutes of exercise at a time based on your current level of fitness. This will help prevent injuries and it can also assist with keeping motivation levels high. Eating wisely – Rather than starve your body by eating less than 1,200 calories a day if you’re a woman, opt for a healthier routine that truly nourishes your body. The key to smart, healthy weight loss lies in eating enough to maintain health without eating so much you gain weight in the process. Select whole foods, such as high fiber, unprocessed grains, diary that is right for your body, lean protein and fresh fruits and vegetables. When it’s time to set weight loss goals, opt for healthy choices. Work with a health and fitness professional with lots of education and experience to pinpoint goals that make sense for you. You may know exactly what you want, but an effective coach and educator will help you reach your goals much faster.